Big Six supplier E.ON has made changes to the structure of its tariffs which it said will increase bills by £22 a year on average. The changes for existing customers on the standard variable tariff will come into effect on 19th April 2018. 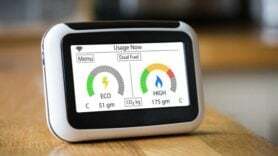 The increase in bills is due to the removal of discounts – £20 per year for customers on dual fuel and £5 per fuel per year for paperless billing – which E.ON believes will make it “simpler and easier” for customers to understand the tariffs and compare them with other suppliers on the market. The Big Six firm has also increased the standing charge for customers paying quarterly by cash or cheque by £10 per fuel per year – but said it has made no changes to the unit prices for gas and electricity. New legislation to cap energy prices and help consumers save money was introduced to Parliament this week.